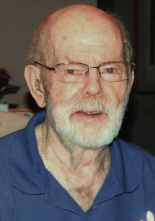 Robert Wesley Macdonald of Kenmore, WA, passed away peacefully at the age of 89 on April 9, 2016. He was a kind, gentle, quick-witted man, able to accept people with all their strengths, weaknesses and foibles. He simply trusted that they were doing the best they could at the time. His listening skills were extraordinary, enabling him to go right to the heart of a person or problem. One of his colleagues referred to this as his “incisor ability.” His counsel was wise and practical. Bob was born February 4, 1927, in Winnipeg, the second son of William J. and Eva (Doull) Macdonald. He was preceded in death by his older brother, James Hugh Macdonald, and his other brother, Gerald Macdonald, passed away unexpectedly on April 21, 2016. They are survived by James’ widow, Claire, Gerald’s widow, Joan, and their sister, Marie Macdonald, all of Winnipeg. In the Seattle area he is survived by his former wife, Nancy (Maclaren) and their three children, Linda Berthelson (Daniel), Catherine Hamilton (John), and Ian Macdonald. Additionally, he is survived by his wife of 38 years, Edith Skip Wolff, her children, Michael Potts (Dawn Johnson) of Kenmore, and Cory Potts (Peter Gillette) of Berkeley, CA, as well as numerous nieces, nephews, grandchildren and great grandchildren. He often joked that he spent the first 40 years of his life in school. His degrees included a BA from United College (1948), BSW and MSW from UBC (1949, 1956) and a PhD in sociology and social work from the University of Minnesota (1964) conferred when he was 37. After leaving academia, he founded the consulting and training firm of Macdonald & Wolff. Bob firmly believed that a business’s success is the byproduct of the good service it provides. Deploring manipulative sales strategies, he developed a course in service oriented selling. He trained clients in translative listening, group dynamics, and peak performance. His remarkable listening skills and empathy were greatly appreciated by the individuals, couples and business people with whom he consulted. He was always involved in sports – ice hockey from age four, and later tumbling, gymnastics, basketball and pole vaulting. In his 50s, as a hockey player and coach, he got three generations of the family involved in playing and/or watching. Partly it was for the sheer fun of the game and the challenge to always keep improving, but perhaps even more it was because he saw hockey as a metaphor for life with infinite opportunities for learning and practicing essential life skills. He continued playing into his 80s, often on the same team as his son and grandson. He also took real joy in roller blading on the Burke Gilman trail, arms swinging freely and with a big grin on his face. His remarkable sense of balance, honed by years of skating, served him well as he aged. At 87, he was still able to stand on one leg while putting on his socks. In contrast to the intensity of hockey, Bob enjoyed fly fishing as both a quiet solitary activity and one to share with family on vacations. In general he preferred a quiet contemplative life punctuated with visits from his children and grandchildren. He was an engaging story teller with tales both serious and funny to tell. Grandson and namesake, Robert A. Macdonald, was able to record a number of them which he will make available to friends and family. Family members may remember Bob’s true soft voice singing them to sleep with Brahms’ Lullaby, as his mother had sung it to him. It was playing when he passed. Lullaby and good night, dear Bob, may you rest in peace.